The Jr High Lady Hornets finally got to step out onto the court for their turn in the 2A-4 District Tournament. Last night, the #5 Hackett girls’ team faced off with the #4 JC Westside Lady Rebels. Both teams were clawing for their spot in the next round but it was the Lady Hornets who secured the 22-18 win over the Lady Rebels. 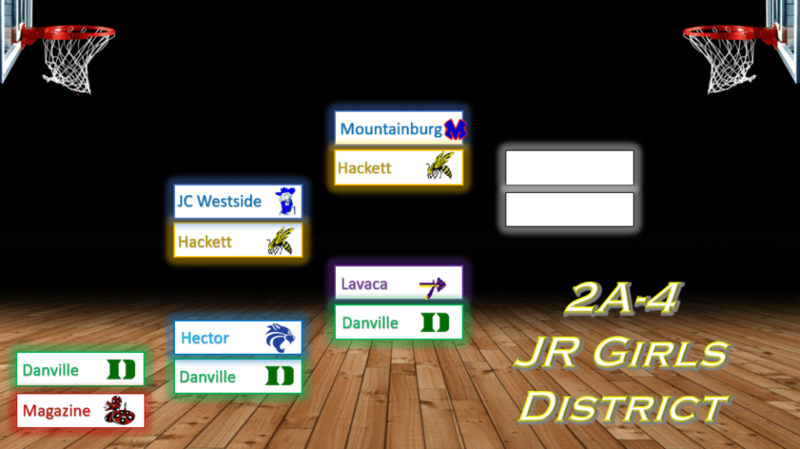 The girls will now move on to the semi-finals and take on the #1 Mountainburg Lady Dragons. District is being played at JC Westside and the Lady Hornets will play tonight at 4 p.m. The Hackett boys’ team has been patiently waiting for this night to come so that they could reming their opponents why they are sitting in the #2 seed. The Hornets will take on the #3 Danville Little Johns tonight at 5:15 p.m.